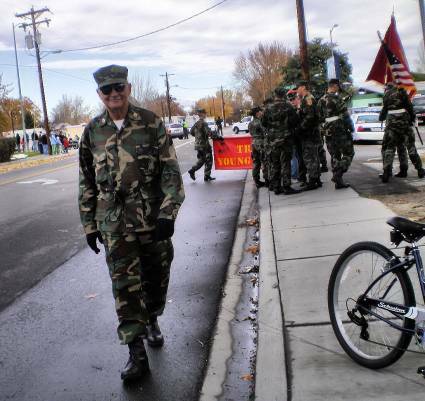 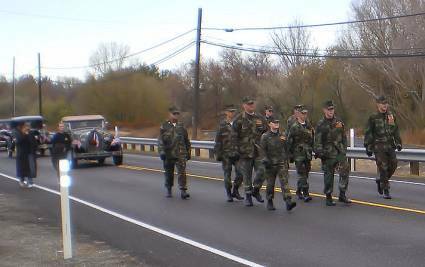 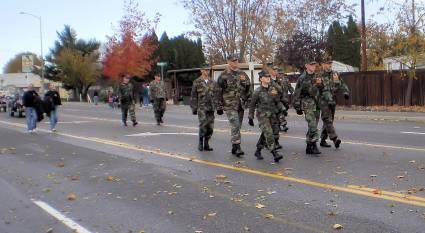 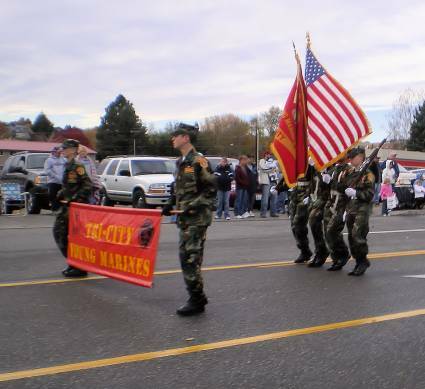 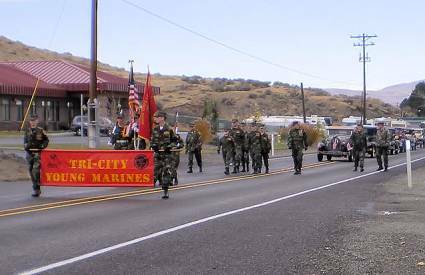 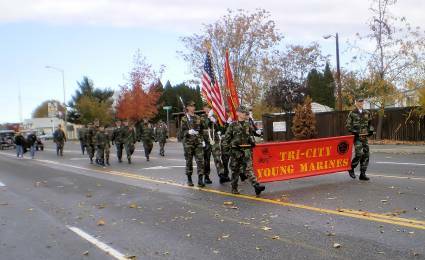 Once again our Tri-City Young Marines were able to participate in West Richland's annual Veterans Day Parade. 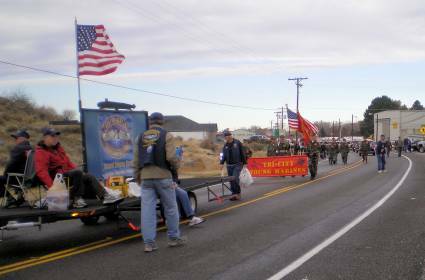 There was a great turnout of spectactors cheering our Unit and the several other parade entries, through the main road of West Richland. 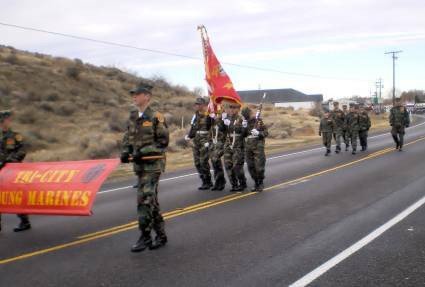 We had our own speedy delivery photo gal, Mrs. Tonda, riding her bike along with our Unit so she could take these great photos! 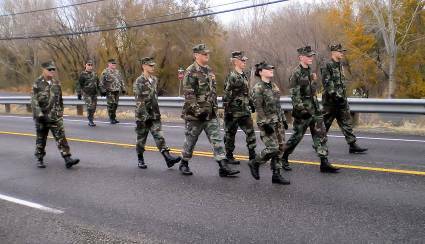 Your rock Mrs. Tonda. 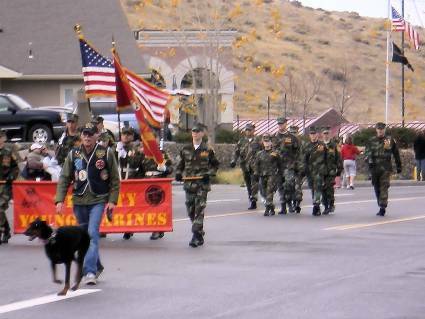 Unfortunately, she was way to fast for anyone else to get a photo of her..maybe you'll be lucky enough to catch a glimpse of her at another parade in the future. 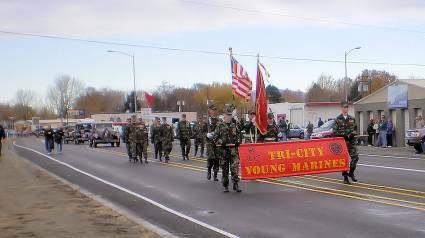 Our Young Marines were well groomed, shoes shined, and pressed uniforms..they looked great! 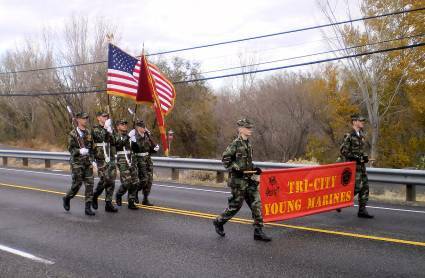 It's alway wonderful to see our Young Marines our in the community. 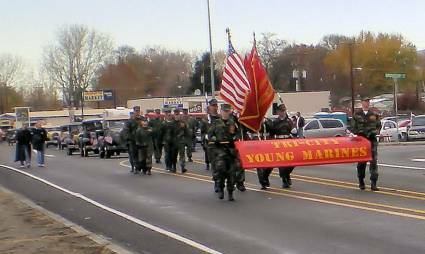 Way to go Young Marines! 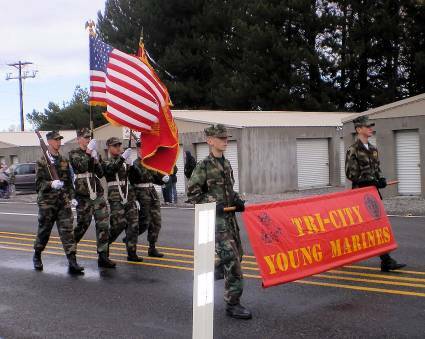 Nice looking Unit of Tri-City Young Marines...another parade under out belt. 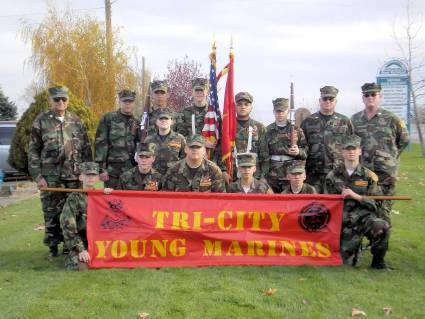 Great job Young Marines!